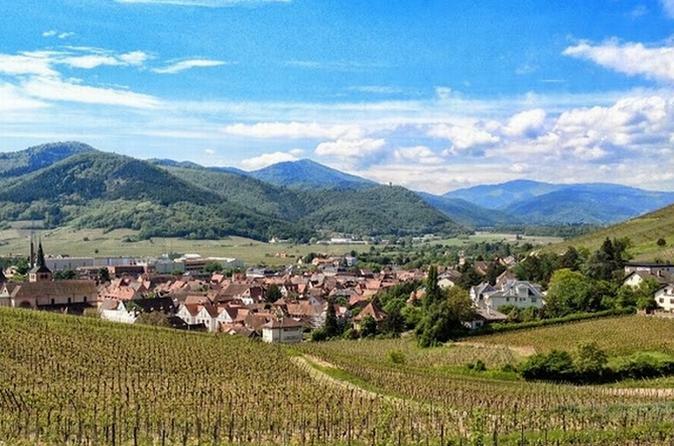 Immerse yourself in the quaint villages and beautiful scenery of Alsace on this full-day tour from Strasbourg. 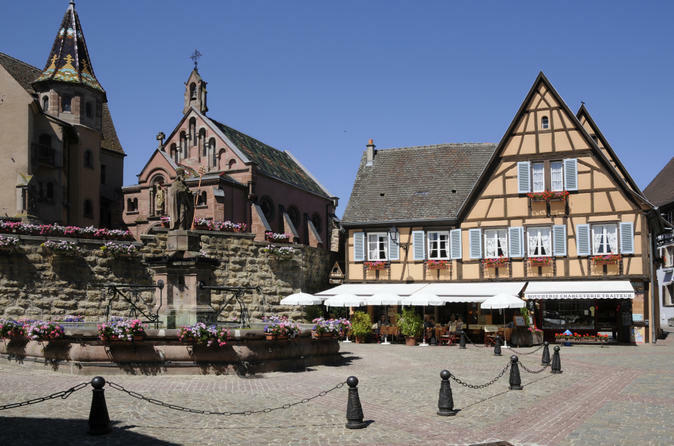 With your expert guide, drive through rolling, vine-coated hills to explore the picturebook town of Colmar and cobbled village of Eguisheim. Then, delve into the medieval, walled village of Riquewihr and follow the famous Alsace Wine Route where you will enjoy a wine-tasting session at one of the wineries along the way. Continue to your last stop at the fairytale-like, 12th-century fortress of High Koenigsbourg. Numbers are limited to eight people on this small-group tour, so you can enjoy an in-depth experience. 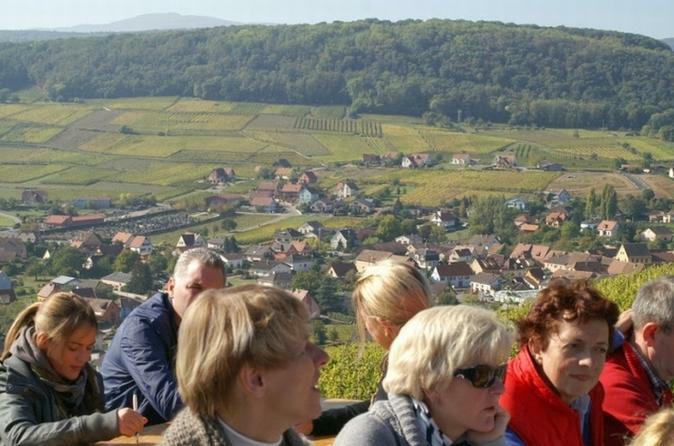 Get the full experience of the famous French wine region of Alsace on this wine-tasting day trip from Strasbourg. 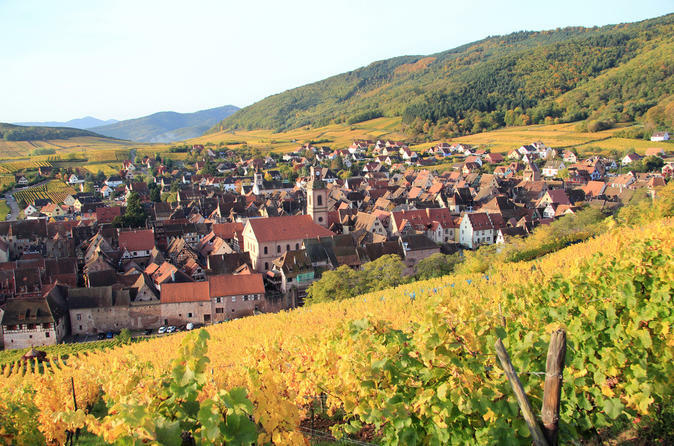 With an informative guide, travel along the gorgeous Alsace Wine Route to the picture-perfect towns of Mittelbergheim, Dambach-la-Ville, Ribeauvillé and Riquewihr. Visit four wineries to enjoy tastings of the region’s characteristic white wine including the Riesling and gewürztraminer varietals. Numbers are limited to eight people on this small-group tour, ensuring a more personalized wine-tasting experience. 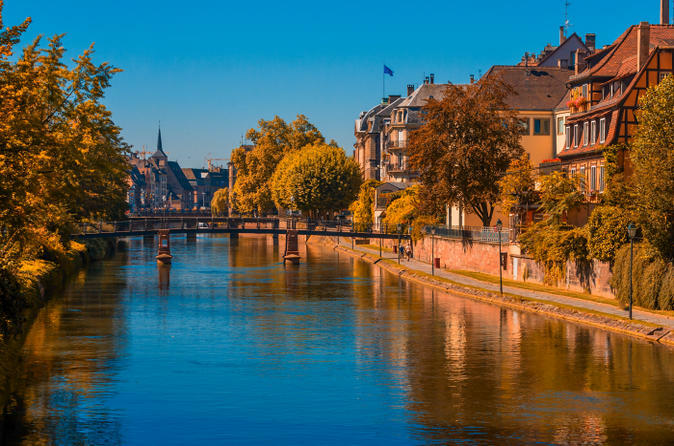 Get an expert guide all to yourself on a private 2-hour walking tour showcasing the best of charming Strasbourg. Explore the UNESCO World Heritage site of the Grande Ile to view the stunning Cathedral of Notre Dame and Palais Rohan; discover the chocolate-box district of La Petite France; and stroll along pretty canals and cobbled lanes to see half-timbered houses, Covered Bridges and Vauban Dam. Enjoy the complete attention of your guide, who recounts stories of the French city's history and people on this private tour. 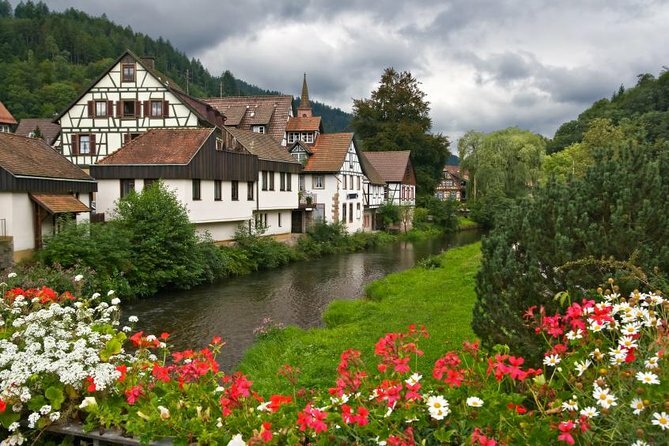 Discover Germany’s spa town of Baden-Baden and the delights of rural Germany on this full-day tour from Strasbourg. A private guide points out the highlights of genteel Baden-Baden before sending you off for free time to explore and have lunch (own expense). In the afternoon, the flexible itinerary can be tailored to your interests. Ask your guide to trace the legendary German Wine Route through the vine-coated Palatinate region, or head deep into the enchanting Black Forest. This private tour ensures you enjoy full attention from your guide. 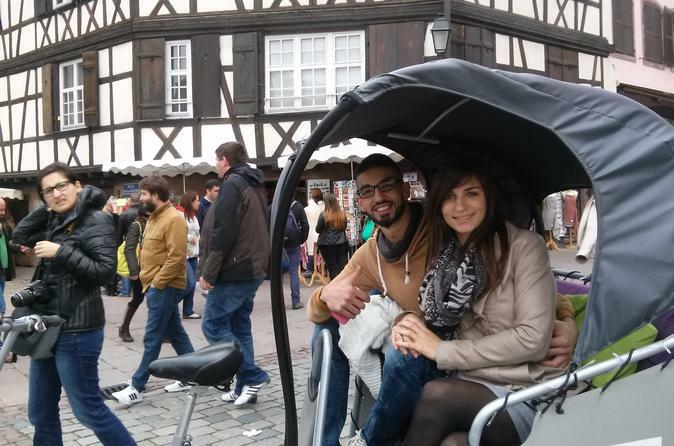 Explore Strasbourg in a relaxed way on a pedicab as you are taken round the main points of interest in the city. 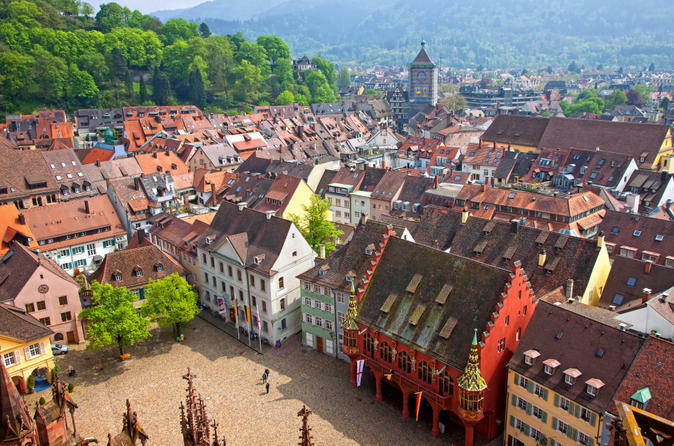 Visit the medieval town of Freiburg and Germany’s Black Forest on this full-day tour from Strasbourg. Cross into southern Germany with your guide and admire old Freiburg, with its spectacular minster, cobbled plazas, gabled houses and little streams. 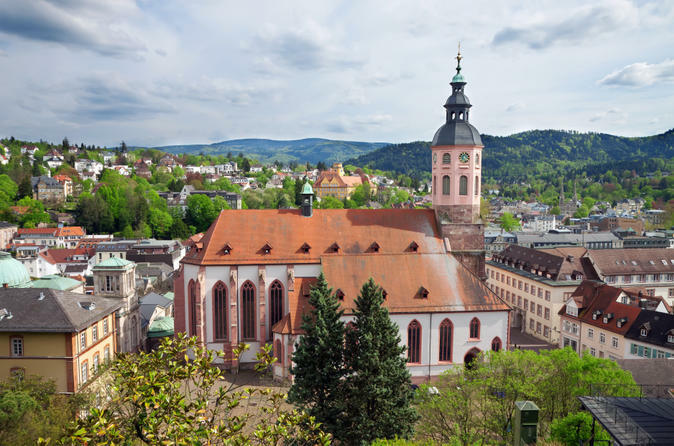 After free time to look around and have lunch independently, drive along one of the most picturesque routes in Germany’s alluring Black Forest, passing the old-world villages, pine forests and lush pastures of this magnificent region. This private tour ensures you enjoy the best sights and close attention from your guide. 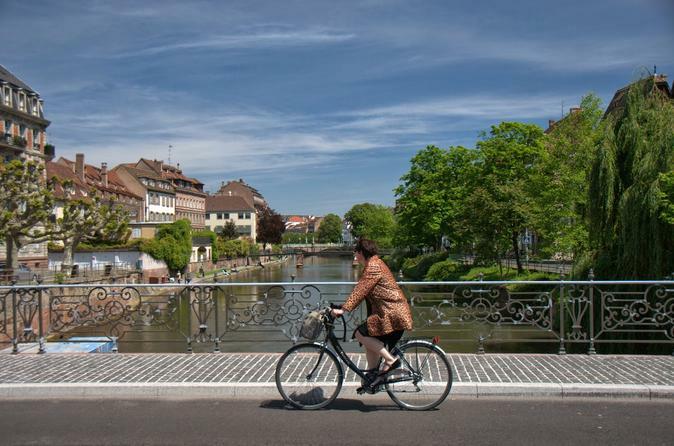 Riding a bike is probably the best way to discover Strasbourg. 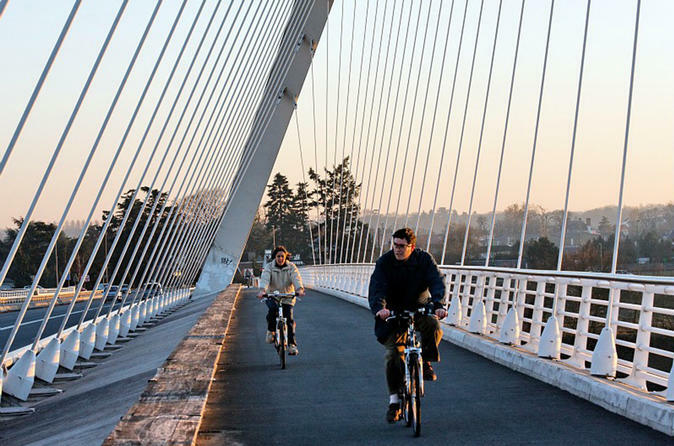 With about 310 miles (500km) of cycle paths covering the whole Eurometropole, cyclists can easily keep away from fast-moving cars and enjoy a relaxed visit. 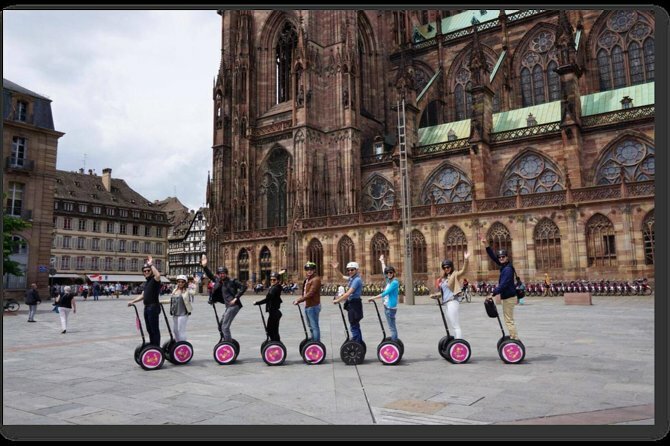 Get an introduction to Strasbourg by your guide, an experienced rickshaw-wallah who knows his city like the back of his hand. Riding a bike is probably the best way to discover Strasbourg. With about 500km of cycle paths covering the whole Eurometropole, cyclists can easily keep away from fast-moving cars and enjoy a relaxed visit. Located right by the river Rhine, which marks the border to Germany, it is easy to explore a city in a different country as well on this 3-hour bike tour. 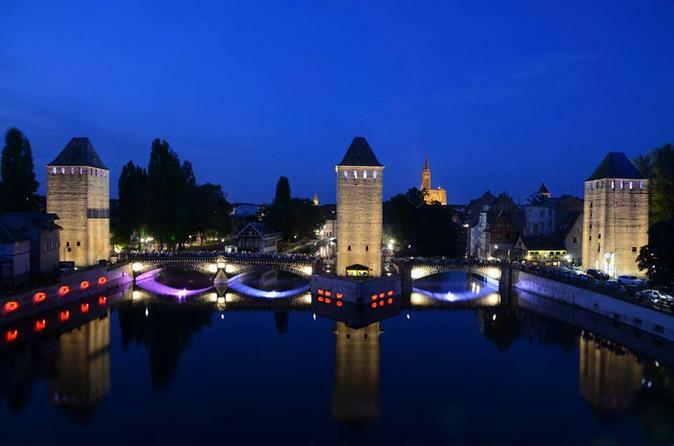 Sit back and relax for a sightseeing tour of Strasbourg in a pedicab and see the city highlights by night. 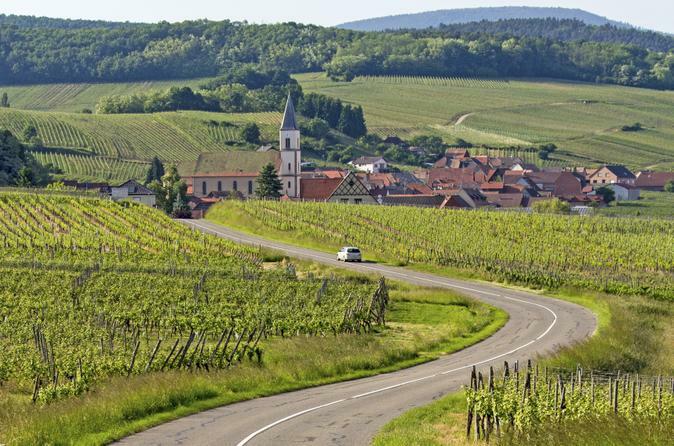 Alsace Wine Route in your private vehicle for a full day tour including sightseeing and wine tastings. tasting session at a local wine estate (5 to 7 wines, with a visit of the winery): Riesling, Gewurztraminer, Sparkling Crémant D'Alsace, and more! 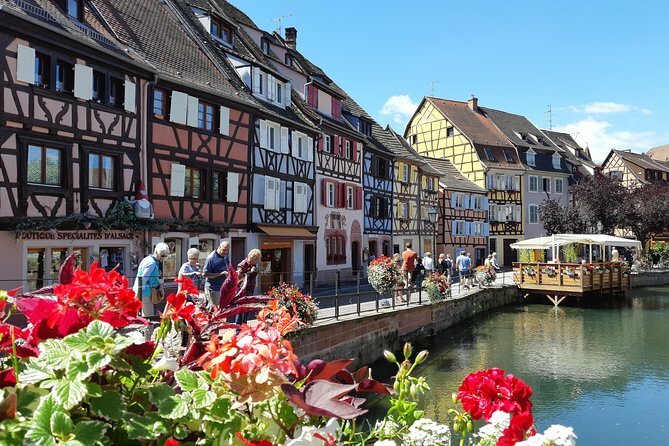 Get to know the most beautiful villages of Alsace and get introduced to the wines of the region too on this private day trip while on your River Cruise..
You will visit Riquewihr, Colmar and Equisheim. The tour will start at the Castle of Haut Koenigsbourg. This tour is designed for all people that want to do more than just wine tasting. Also if your time is limited and/or if you travel with children this tour is a great opportunity for you. Geocaching : la chasse au trésor des temps modernes ! 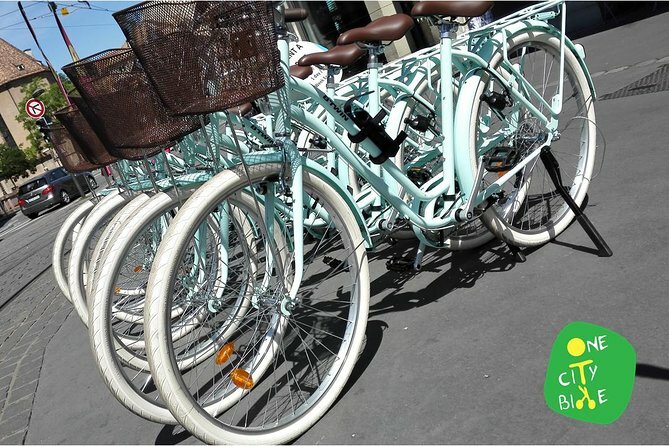 • Prenez un vélo et partez chercher les objets cachés dans tout Strasbourg ! Nous vous proposons de découvrir la ville de Strasbourg d'une façon fun et originale avec LE moyen de transport strasbourgeois. 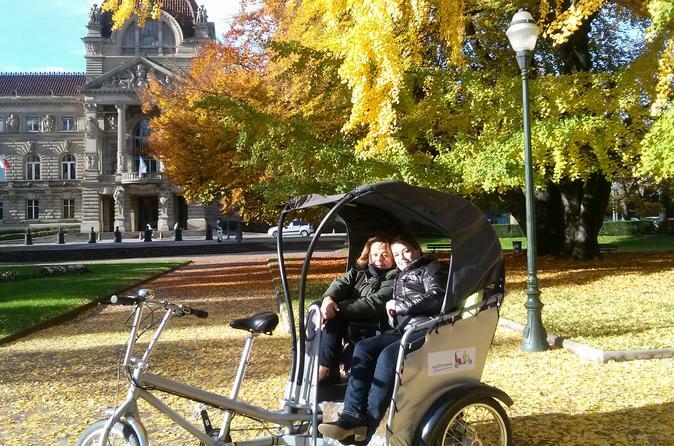 Explore Strasbourg in a relaxed way on a pedicab as you are taken around the main points of interest in the city on a 30-minute tour.